The Optical Shops at both our Eye Center of the Rockies locations are committed to providing our patients with excellent, knowledgeable customer service from our Opticians, who are both ABOC Certified Opticians with over 50 years of combined experience. We are dedicated to not only providing a prescription to help you see clearly, but also to helping you select a pair of frames that fits comfortably and correctly. We offer the latest, up-to date lens technology, with some great lens package pricing to fit most of our patient’s needs. Our emphasis is on VALUE, where our opticians’ gives each and every patient an individual fit and consultation based on what works for them and not just a bottom line price. Some of our great VALUE packages include kid’s packages, 2nd pair discounts and sun glass eye wear, prescription and non-prescription. 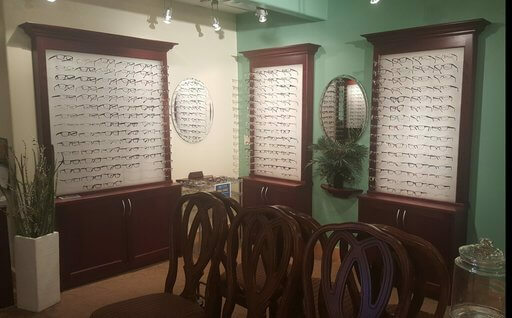 Our Optical Shops has a wide range of eye wear frames and offer designer brands like: Maui Jim, Marc Jacobs, Oakley, Kate Spade, OGI, Seraphin and many more, along with the latest and leading lens technology in vision correction. We are looking forward seeing you soon! Teri Burns is our Optician at the Optical Shop in Glenwood/Eye Center of the Rockies. She is an ABOC certified Optician who works at The Eye Center of the Rockies. She has been an Optician for over 25 years and has worked from every end of the optical field from dispensing to lab. She has also worked as an ophthalmic technician for several years. 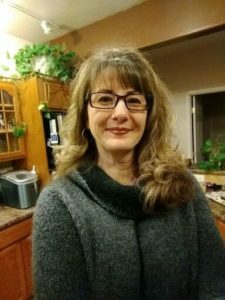 She grew up in California and moved to Grand Junction, CO, where she worked for Dr. Gallegos as dispensing Optician for a few years. After a couple of years she moved to Rifle where she went to work for Dr. Hoover as Optician and Technician. She did not only fit patients with glasses but also did pre-testing for the Doctor. She is thrilled to now be with Eye Center of the Rockies in Glenwood Springs and hope to be for many years to come. Mia Ericsson is our Optician at the Optical Shop in Eagle and our Optical Lab Manager at both locations for the Eye Center of the Rockies. She is an ABOC certified Optician and has been an Optician for over 20 years. She was born and raised on the West Coast of Sweden. After finishing college, she traveled extensively and has lived in Australia, Hawaii, and Texas before settling down in Colorado. She has lived in Colorado for 16 years and currently lives with her husband and 2 teenage boys in Eagle, CO. In her free time, she enjoys what Colorado offers best: the great outdoors with activities including hiking, biking, snowboarding and skiing. Being a good Swede, she is also a die-hard soccer fan and has been a soccer coach for a state boys’ youth travelling team for the last 6 years. She has a wide range of experience in the optical field, including dispensing optician, fitting, adjusting and repairing eyewear, lab optician cutting and edging eyewear lenses, frame buying, and ophthalmic technician. 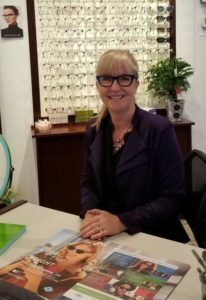 She has previously worked for the optometrists like the Roaring Fork and Vail Vision offices, and at the high-end luxury eyewear store, Silver Threads Optical in Aspen, CO. This is her first experience working at an Ophthalmologist office and she is very excited to be working for Dr. Ehrlich at his practice. She is looking forward to many fun years together with this practice, growing and making a difference in the eyewear industry. We are proud to offer a full range of contact lens services.